A few years back approved by the community was an additional tax to fund a new Airport Terminal. 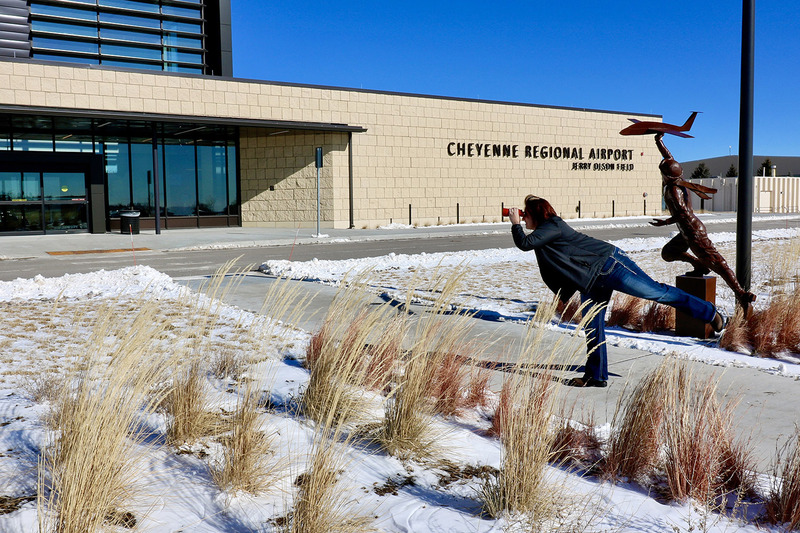 That terminal opened for business in 2018 and launched air service on November 4th. Currently the flight goes to Dallas/Fortworth and the hope is to build this flight up to add more than one flight a day and perhaps in future years additional destinations. They are looking to occupy commercial spaces inside for a potential gift shop and/or restaurant. You can actually reserve spaces throughout the terminal for special events. The terminal space prior to boarding is called the holding room. If your event doesn’t interfere with the current flight time frame when this space is needed for a flight, you can actually reserve it for a special event. Last question is what will happen to the old airport terminal? What we can tell you is there are developers looking at the space for a potential commercial project. The hopes would be to maintain the historic 1960’s architecture and celebrate it’s previous life as a terminal. We like that idea. Do you? BIG things are coming to Cheyenne. Whether you are buying or selling a home, there’s no better time to be in the Cheyenne area. We are up to the job at RE/MAX Capitol Properties. We have a large amount of real estate market knowledge. We are big fans of the community and ready to help you find the right home for you. We are so passionate about what we do and our track record shows it. In just 28 days we sell our listings. 12 days less than the local residential market in 2018. Give us a call when you are ready to explore your vast options to make your next BIG real estate move. We cannot wait to visit with you, 307-635-0303 or connect with us online.